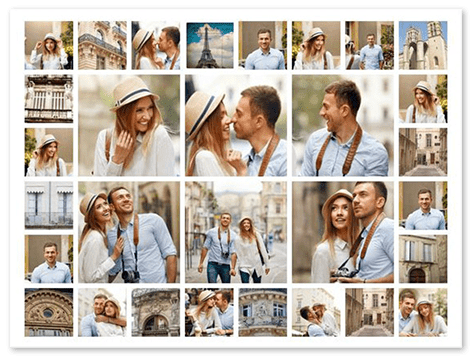 30 photo collage – 250 FREE templates & printing as a number!! You can work for a long time on putting together a 30 photo collage. But you don’t have to. 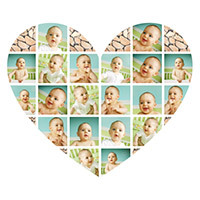 Our online collage maker for 30 photos will help you create a 30 photo collage automatically. So selecting your 30 photos is actually the hardest part! 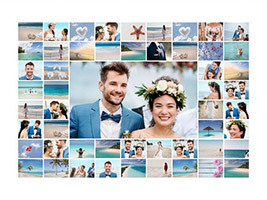 The photo collage maker arranges the photos into your collage for you. Creating a 30 photo collage thus takes little longer than uploading the photos. That’s a big advantage when creating a collage with many photos. If you have a high-speed internet connection, you are at a clear advantage. But of course all the uploaded photos in your 30 picture collage can still be changed. The arrangement as well as the subsequent editing of the photos is possible at any time. All photos can be easily cropped, aligned or coloured. 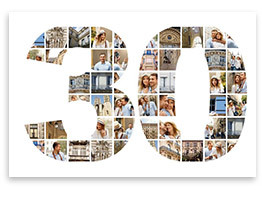 This means that, with little effort, anyone can create a personalised 30 photo collage. 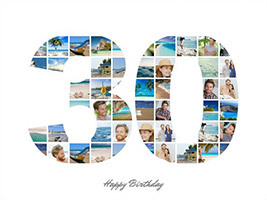 Once your 30 picture collage is ready to print, you can have this done on various media. 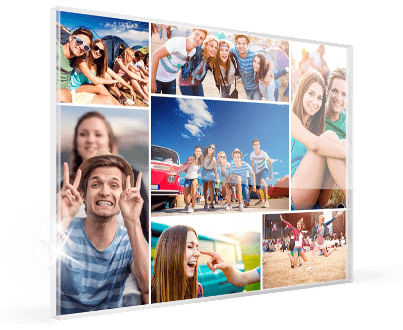 But most customers decide on printing onto collage canvas. 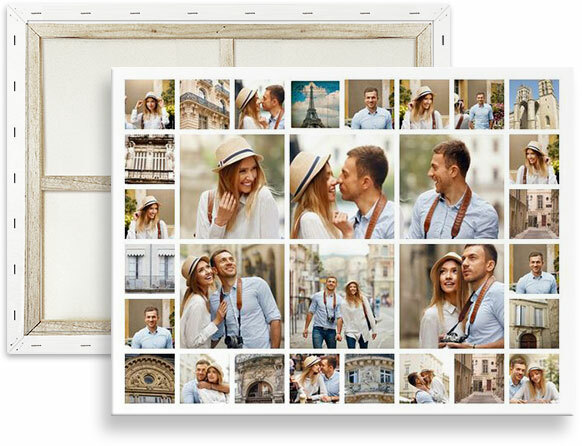 And another tip: if you want to present your 30 photo collage as a gift, remember to order in time. You should plan in a few days for this. Tip: After uploading your 30 images, your collage is created automatically. 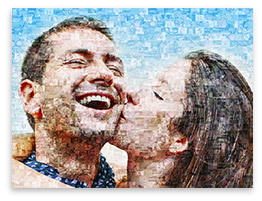 The 30 photo collage is one of the larger photo collages. However, it is also one of the most popular number photo collages. But it’s always worth having a look at our complete range of collages. Altogether we offer several hundred different collages.